Solar power for your apartment building? This is everything you need to know. A comprehensive guide on switching to solar power at an apartment complex. 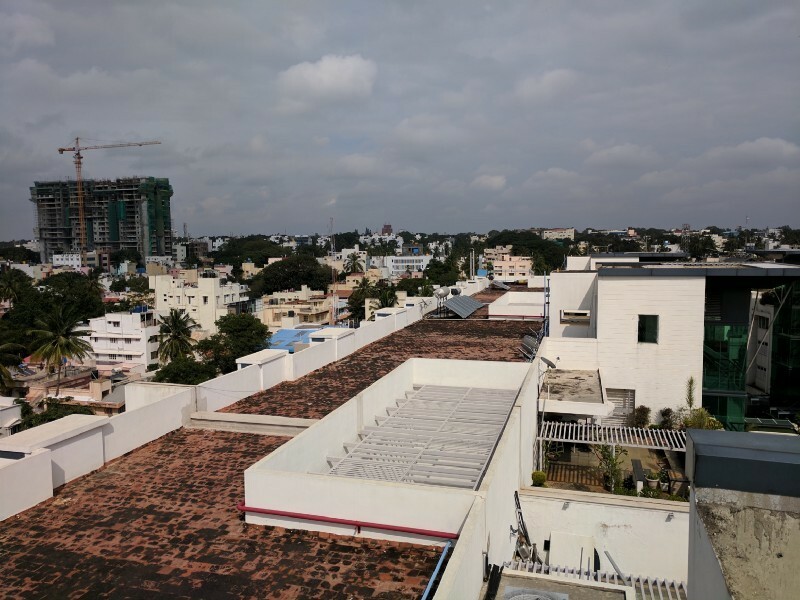 If you grew up in Bangalore, you would recall that there were very few apartments more than 15 to 20 years ago. You probably didn’t even know anyone who lived in one. That’s changed completely. Apartment buildings are now seen in almost every nook and corner of our city. In fact, they are so common that Bangalore has added 1500 apartment complexes only in the last 2 to 3 years. Today, apartments have become preferred places to live. Apartment communities are now mass consumers of Water and Energy. Additionally, they are mass generators of Waste. Many initiatives are being undertaken by the apartments’ resident welfare associations (RWAs) and solution providers to change this. Efficient management and usage of resources have become a priority for RWAs. Doing that is financially as well as environmentally beneficial for the community. Energy bills are burning a hole into community savings. The cost of electricity from BESCOM has been gradually increasing at the rate of 6–9% every year. In 2018 alone, the tariff has been hiked twice. The solution is Solar Power since net metering is the best bet to change this and make significant long-term savings. 1. During the daytime (10 am to 4 pm), loads like lighting, fans, computers, servers, and other 5 Ampere and 15 Ampere circuits are run directly from solar. In case the requirement is more, power will be drawn from the grid. 2. Any excess power generated is sent back to the grid using net metering technology. 3. During night time, the loads are run directly on the grid, through energy import. 4. However, if the grid power shuts down, then solar inverter will also shut down due to anti-islanding effect. Also, reverse voltage protection to the diesel generator is provided. A bi-directional meter records the net import and export. In cases where the net import is more, payment is to be made by the consumer as per the latest tariff rates. In the case of higher net export, the consumer gets paid by BESCOM as per the 25-year-long power purchase agreement (PPA). 1. All the loads are powered by solar energy. 2. Along with using net metering, the solar energy system generates as much power as you consume. 3. Save up to 100% on your monthly electricity bills. 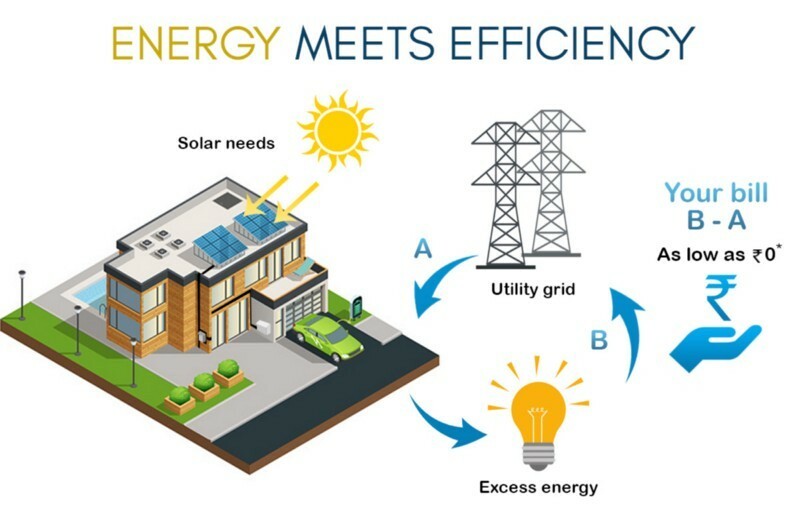 While it is tough for individual flat owners to setup up personal solar energy systems to reduce their energy bills, solar power can supply the needs of the common areas in apartments. The terrace area doesn’t belong to any single owner. It’s a shared asset among all the members. Therefore, using this vacant real estate to generate savings from solar is the best use of this space. This makes it simple for everyone to reach consensus and impacts every owner equally. A typical terrace in an apartment building. Why is it gaining traction now? 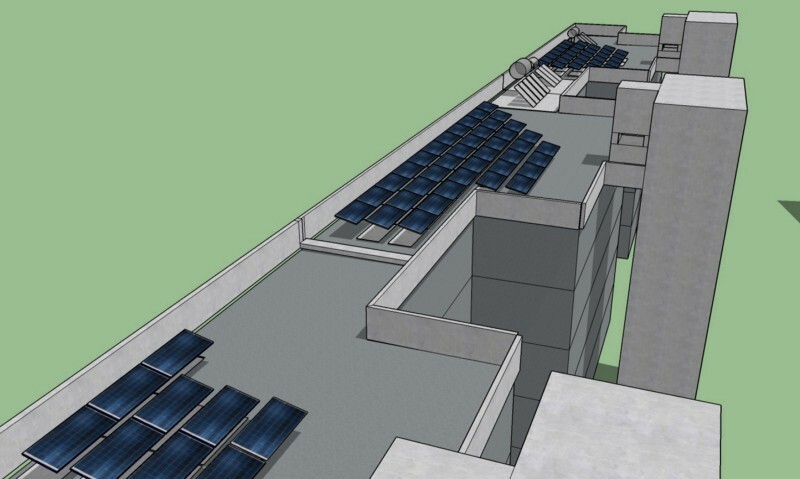 A rooftop solar design. We are experts. Visit www.solarify.in to know more. How easy is it to Go Solar? A little homework on the basics of solar energy along with expert consultation from a good Installer should do the trick. Visit an existing solar installation and understand the impact on their bills. The proof is in the pudding, right? Talking to too many companies can become confusing as various options are available. Being clear about the apartment’s objectives should help clear the fog. The community will be grateful for a long time to RWA members’ time and effort as it bears long-term fruits that are realised month-over-month when they pay their maintenance bills. Governmental Approvals. Aargh! What should we do? Yes, they are not easy. Agreed. Usually, Installers will take care of that as well. All it needs are signatures and patience from the community as the Installers go through the approval process. Today, it’s easier and faster to complete required Governmental procedures. Thanks to our friends at BESCOM and the energy secretary of Karnataka, who have taken positive steps to reduce hassles, the market is now moving in a positive direction. Technology: Panels and Inverters. What’s best? One of the most pivotal decisions to be made for the project. This would determine overall power generation from the solar plant and therefore long-term financial viability of the investment. 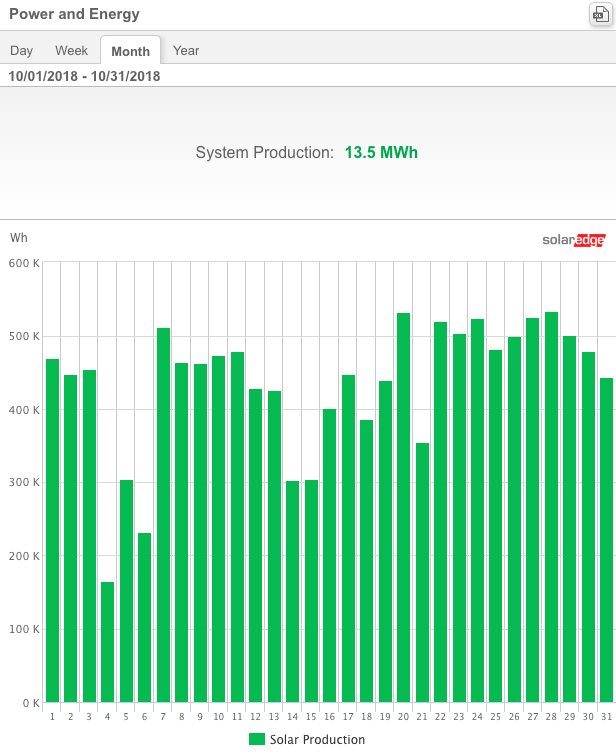 Generation data from our 96 kilowatt solar power installation in an apartment building: 450 units of electricity produced per day. 10% higher than other plants of the same size. Things to consider while choosing Solar panels. Things to consider while choosing Inverters. 3. There are different types of inverters — string, central, micro and optimiser-based inverters. No one choice fits all needs. It’s prudent to understand the above-mentioned choices. Your objectives from the project, terrace space, shadows on the terrace, budget allocation, return on investment targets, and other relevant criteria; are factors that will help you make an informed decision. From our experience, budget alone should not be the decider to select any Installer, Panel, and Inverter Technology. Make a good choice and sleep well for years to come. Since there are no batteries in a grid-tied system, expensive replacement, and regular maintenance are usually avoided. On-grid systems are easy to maintain. But, a few basic things need to be done to ensure optimal performance. Panels have to be cleaned periodically depending on how dusty it gets. Intermittent checking of inverters, wiring, and other components are usually taken care of by the service provider. Getting the residents’ approval is an uphill battle. We understand! It helps to look at it as an investment for the longer term. Every association has a Corpus in the bank waiting for good investment options like solar power. With healthy discussions and quick decision timelines, the community can benefit from the smart use of money. If the solar plant cost is less than 40–50% of the overall corpus value, then a direct investment is a no-brainer. If there is absolutely no budget for this kind of investment, then one can consider the operational expenditure (OPEX) model. 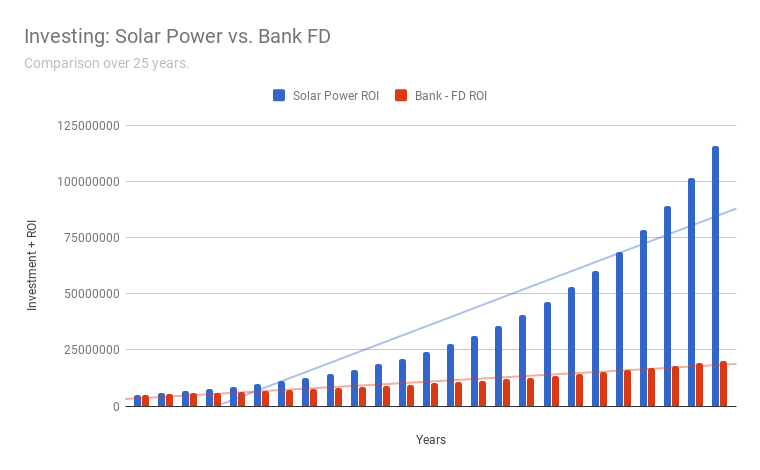 The OPEX model is where the Installer (along with an investor) bear the cost of the solar plant and also set it up on the building’s terrace. The community pays the investor for electricity consumed at a tariff agreed-upon. In most cases, the Solar tariff is 2 rupees lesser per unit than that of BESCOM. This works best for capacities of 100 kilowatts solar and above. The community can decide to buy back the entire plant and get full savings from the solar plant once they are satisfied with the technology and the energy generation. Who’s gone Solar? How are they doing? 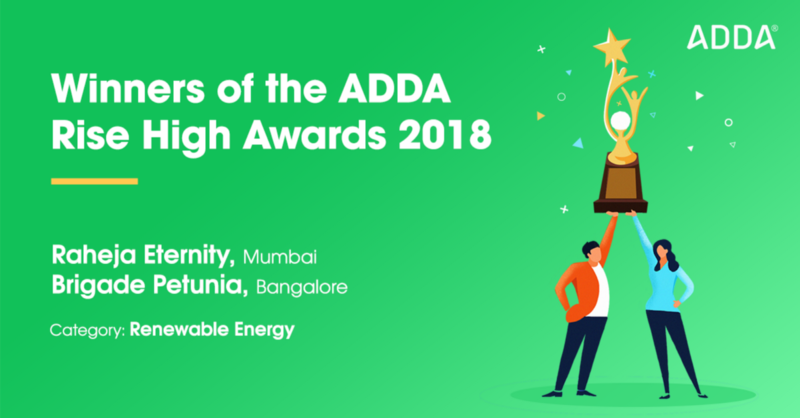 In the last 4 months, we have helped 3 apartment communities across Bangalore adopt solar power. 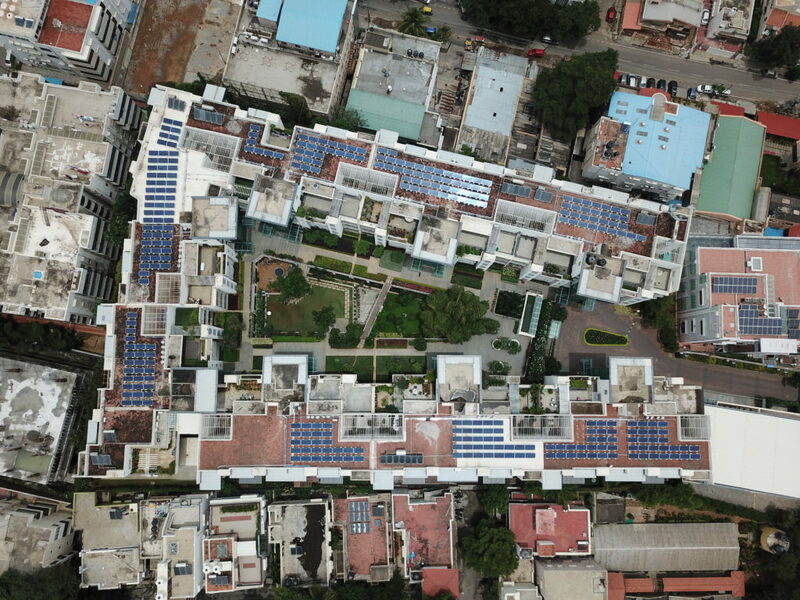 In August 2018, they became Bangalore’s first apartment to run 100% of their common area on solar power. By investing in their 96-kilowatt solar energy system, they are able to save 1 lakh rupees month-over-month. They opted to use top-notch optimiser technology from SolarEdge. By doing that they are able to get a 10% higher generation than other conventionally designed systems. We have put together a detailed case study on how they went about doing so, and how their system is performing today. By working along with Smarter Dharma, we helped design India’s first carbon neutral apartment with an IGBC certification. We have already offset common area bills by 50% with our 10-kilowatt of solar power on their rooftop. 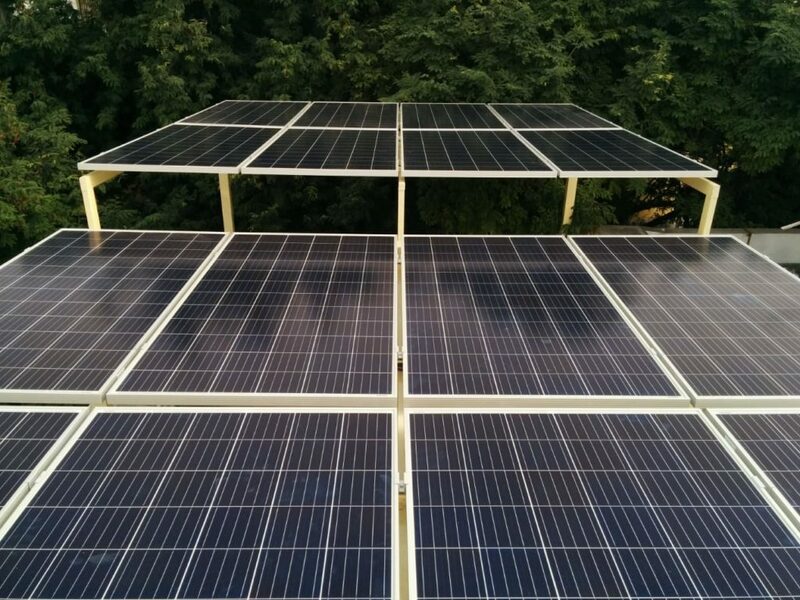 Once fully completed, we are also providing solar power back up for every flat in the apartment. This really shows why builders and architects can influence green building decisions. We closely worked with the proprietor of the Developer to set up a 10-kilowatt solar energy system on their rooftop.Being the first apartment to be built under their wing, our expertise of working with apartments helped with smooth decision making. Just in the first week of their installation, they saved 3000 rupees. 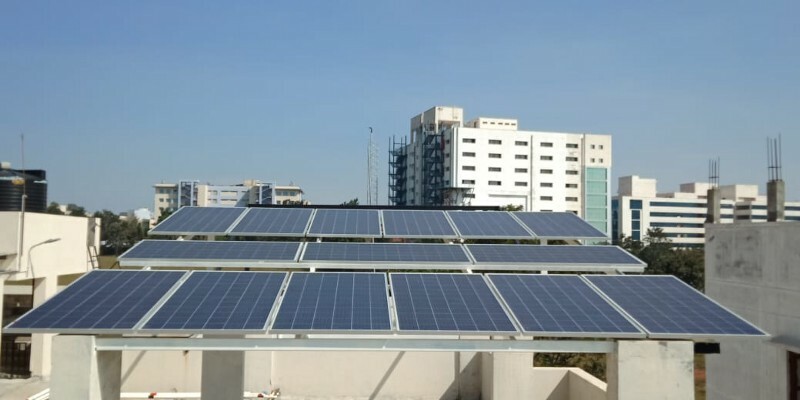 On one side, the government and organisations such as the Bangalore Apartment Federation (BAF) are pushing for more than 1000 apartments to #GoSolar by 2020 with their Go Green initiative. At the same time, companies like us are educating and empowering apartment communities to make the switch to solar power. Today, for existing apartment buildings, solar power for the common area is a go-to investment. It is environmentally and financially viable. If you live in an apartment complex and have questions for us, we are just a simple WhatsApp message away. > Get in touch by clicking here or on 9742454443, where you can freely address your queries.